Today I thought of writing an article on how to remove all the partitions from a disk so you can re-use the disk. If you tried removing existing partitions using the Computer Management (type computer management on the start menu to open it) tool in Windows you will find that, you can delete partitions by right clicking on the partition / volume and clicking on Delete Volume option. However you will notice Computer Management is useless on some of the protected volumes since the options to work on them will not be available.In this case you will need to use the DiskPart utility in the Command Prompt. In the Start type Cmd or Command Prompt to open a command prompt. Then type DiskPart, it is a powerful utility which can even work on protected volumes. In my case, I would like to work on Disk 3 to remove all the existing volumes on it. 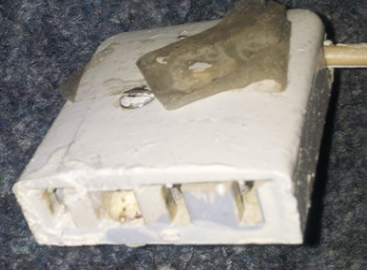 Below are the steps required to clean the drive. List all the disks by typing List Disk, this will list all the disks connected and active at the time in your computer including the disks connected via USB ports. Once you identify the disk you need, selection can be made by using the command Select Disk x. In my case Select Disk 3. 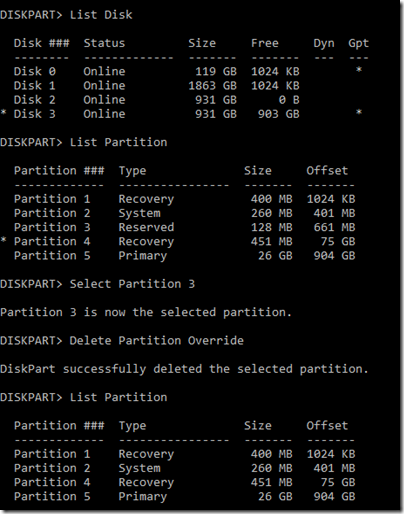 To confirm, list all the partitions on the selected list by using the command List Partition. 2. Delete all partitions by using the Clean command. Ensure the proper disk is selected by Listing all disks by command List Disk, the currently focused disk will have a star at the beginning since recovering disks is not easy. Type Clean and press enter. This will remove all the partitions from the disk. You can check the results by re issuing the List Partition command. Close the DiskPart tool by entering the command Exit. Computer Management will now show that the disk is uninitialized as below, Initialize the disk and create partitions / volumes as necessary to use it again. 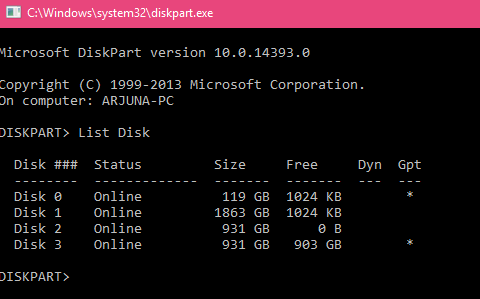 You can remove simple partitions by using the Computer Management tool found in Windows. Search for it on the Start menu to launch it. But if it is a protected partition you will need to use the tool DiskPart. In the Start menu type Cmd or Command Prompt to open a command prompt. Then type DiskPart, it is a powerful utility which can even work on protected volumes. To delete one partition, follow the steps. 1. List all disks by using the command List Disk. 2. Select the disk by using Select Disk x command. 3. 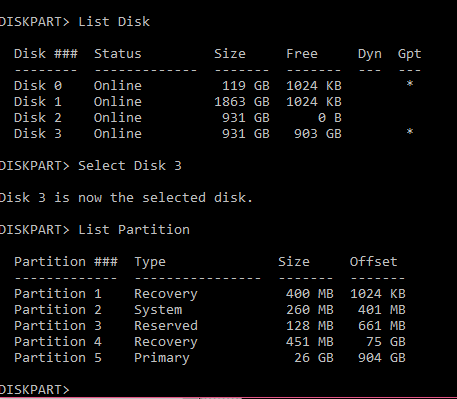 You can confirm the disk by listing all the partitions on it by using the command List Partition. 4. Select the partition by using the command, Select Partition x command. 5. Delete the partition by command Delete Partition Override. Override parameter needs to be passed if the partition is not a simple data partition. 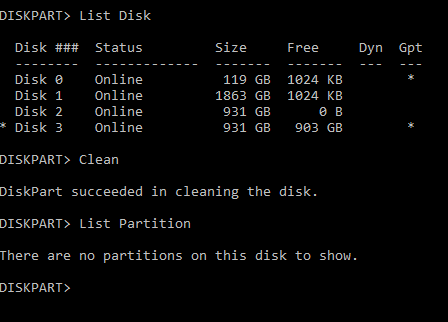 You can confirm the deletion by re-listing the partitions on the disk by List Partition command. 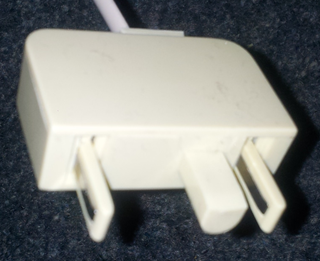 IMPORTANT – If you touch them directly you might get an electric shock even though it is not deadly so always make sure you are wearing gloves or adequate footwear since if you do not like to get shocked. Intel has released Intel Core 2 Quad Processors, these are capable of handling 4 threads simultaneously. Read and experience more at Intel.